I never thought I would buy a bar cart. I rarely have a drink or throw a party for that matter. When Tim and I moved into our townhouse we overlooked the typical newbie things and didn’t realize how little kitchen storage we had. I mean we have one silverware drawer and a half drawer. I also had been building up a generously sized party collection for our wedding, because I wanted our getting ready photos to be #extracute. All of this leads me to a big storage problem, and the bar cart was an easy way to solve that! I saw this cart at Target and it was the most affordable one I came across. I definitely didn’t want to drop $200+ on a cart to hold the cocktails I’ll probably never make but keep pinning on my Pinterest. It also helped that it was free thanks to a gift card from Delta for losing our luggage on our honeymoon. Putting all of this on the cart opened up a whole cabinet in our kitchen, so now our Corningware has a home in a cabinet where it belongs. I’m considering adding some marble contact paper to the wood to lighten it up, but for now I kind of like the masculine touch it adds. You can see I’ve collected a lot of pineapple type items, all which have been gifts throughout the last year. I have a few bottle stoppers, both gifted from Tim’s sweet sister this year. 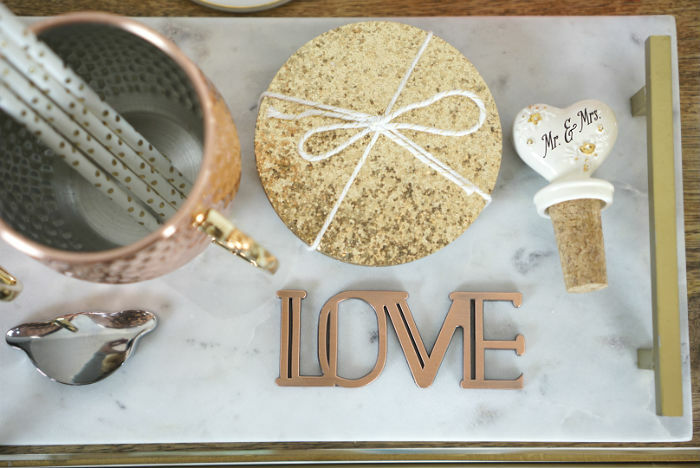 The LOVE bottle opener was a gift from a Swoozies Bridal Showcase, and the leaf bottle opener was a wedding favor a few years back, but I found it here! The Pineapple platter was from the Lilly Pulitzer + Target collection and it’s a funny backstory to how I actually have it today. I wasn’t expecting the madness that came along with shopping the collection. I mean I actually don’t own anything Lilly. So in the madness that was grabbing everything I saw available, I bought this platter. Did anyone else experience people hoarding things for trade At the time, I didn’t have any need for it, so my mom offered to buy it and gifted it to her friend. I always admired it, so she ended up re-gifting it to me at my bridal shower. So in the end, my mom paid me for it and I ended up getting it back.. haha! 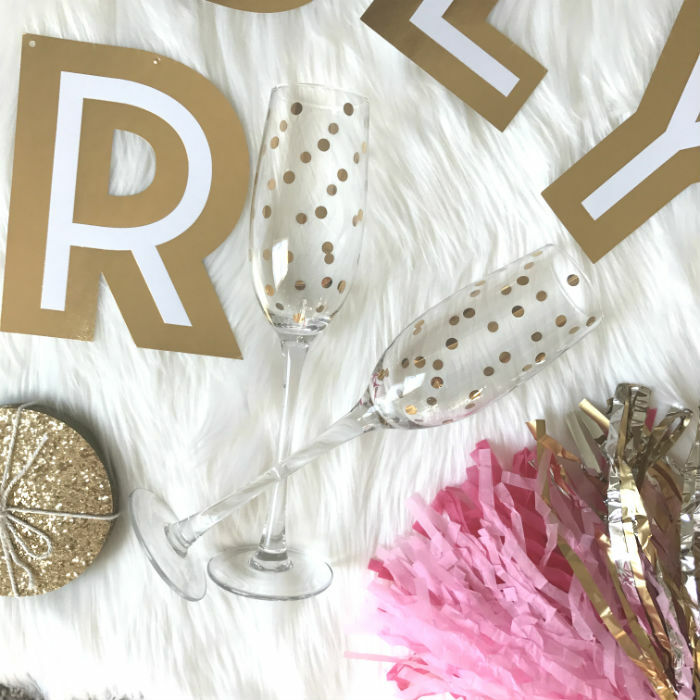 The dotted champagne glasses were a find at Hobby Lobby that I purchased for us girls getting ready on wedding day, along with these best day ever cups from Swoozies. My tassel is from my bridal shower and you can purchase it off Etsy (link!). The J cheese board was a gift from my cousin. 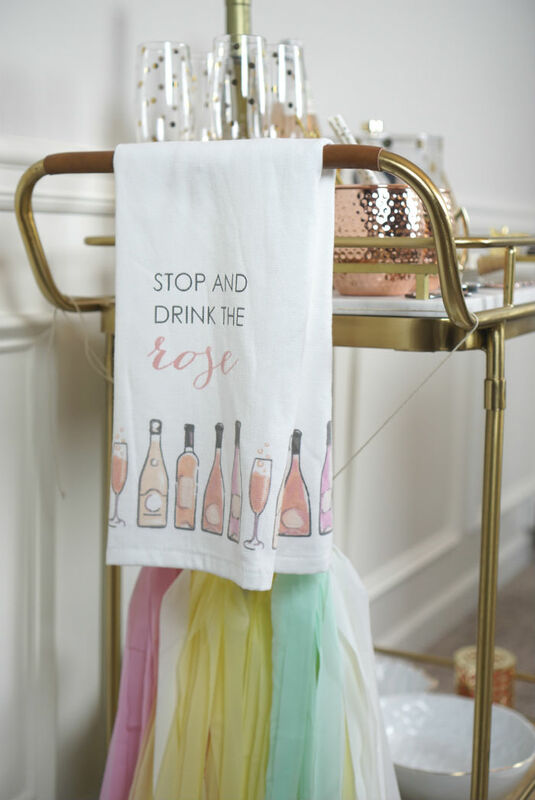 A lot of little decor (rose towel, hooray and cheers stirrers, polka dot straws, marble tray) was found at HomeGoods. They recently have caught on to this bar cart trend and have a row or two of bar related items in my local store. 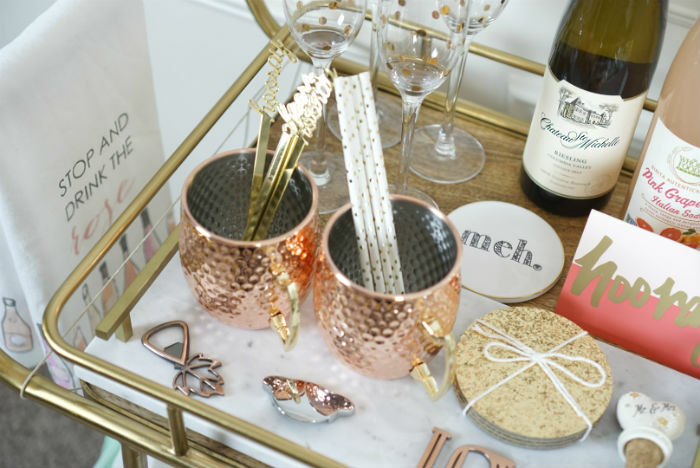 Glassware – I have both copper mugs and champagne flutes. Customize this to fit your taste! 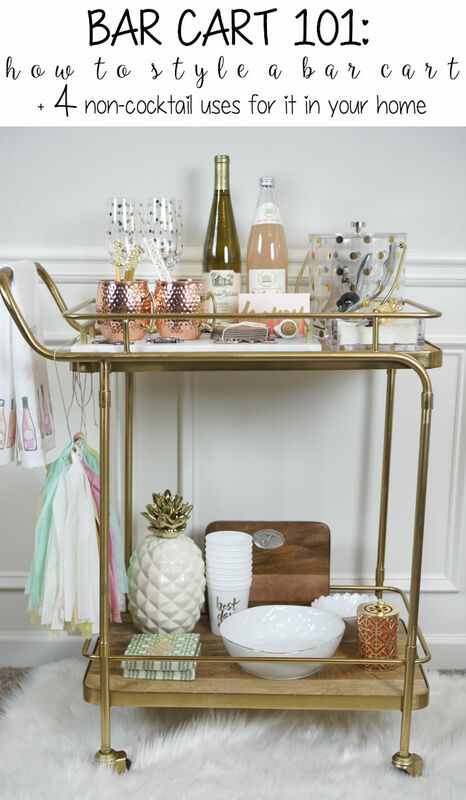 Just because it’s called a “bar” cart, doesn’t mean you have to use it as one! Coffee Cart: I also love the idea of using it as a coffee cart if cocktails aren’t your thing or if you’re underage in college. I would have been the hostess with the mostest during my studying days if I busted out a coffee cart for my girlfriends! Bedside table: For some added interest in your bedroom you can use a cart as your bedside table. Bath Cart: If you’re limited on storage in your bathroom consider using a small cart to store a few towels on the bottom and some pretty toiletries and bath soaps on the top! Dessert Cart: If sweets are more your thing, another way to use your cart is as a dessert cart! 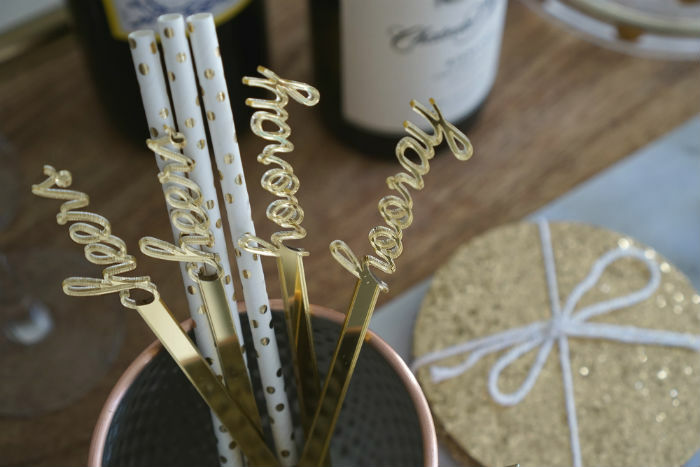 Cute for bridal showers, bachelorette parties, birthday parties, and whatever else you have planned. If you’re not ready to fully commit to a cart, I’ve also seen some really cute bar tray options. 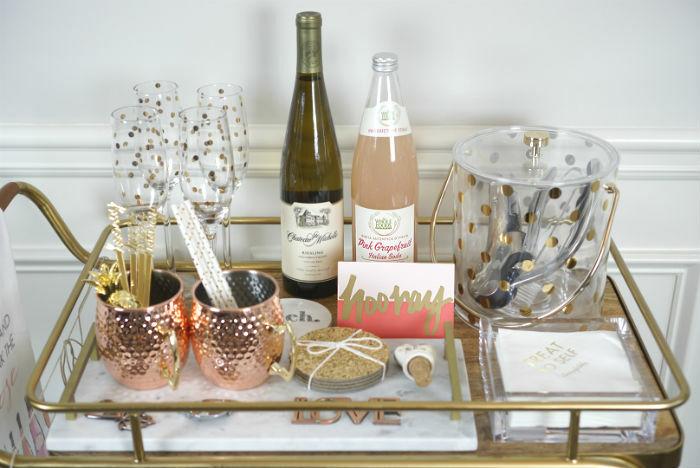 If you’ve styled your bar cart of know of other ways to use it, let me know in the comments! Also, check out my Valentine Bar Cart and my Christmas Bar Cart, they are my favorite updates to date! You can also see my first house decor update to see where it’s ended up in our home now! I've always found the idea of having a bar cart in the living room so chic. But I love the idea of using it as a bedside table or a bath cart. I would never think to buy one either but this is actually so adorable and now I want one!!! Love all of the decor on it! 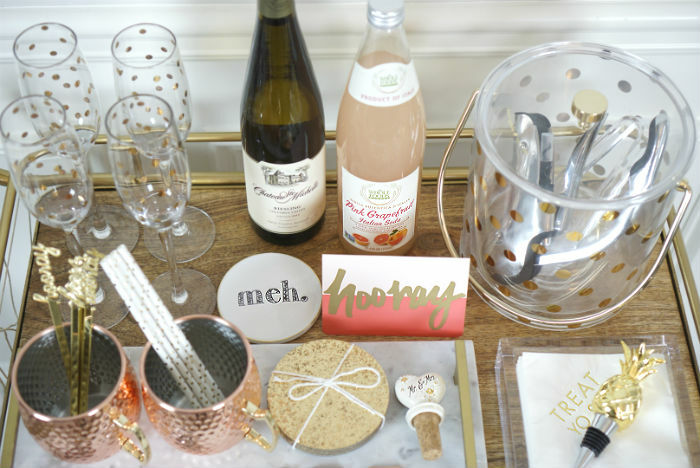 You have such an adorable bar cart! I love the alternative uses ideas too! I love that! I need one of those at my house – and yours is so cute! love! 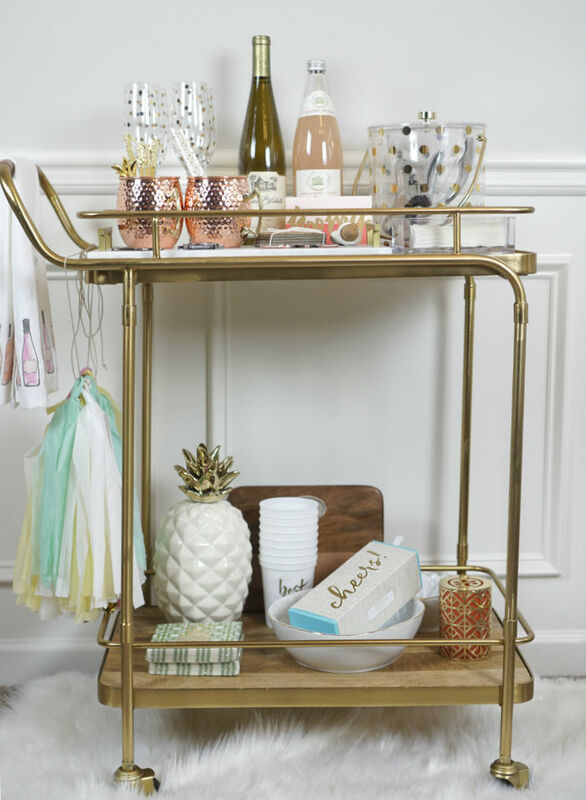 Your bar cart is way to cute!! I would come over for drinks any day! Such a cute little bar cart! I love all of the little fun details! LOVE those other uses! As soon as my littles are done pulling stuff out of everything, I'm doing a bar cart! 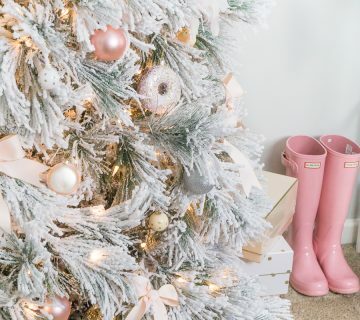 Okay, this is DEFINITELY Pinterest-worthy!! So cute! 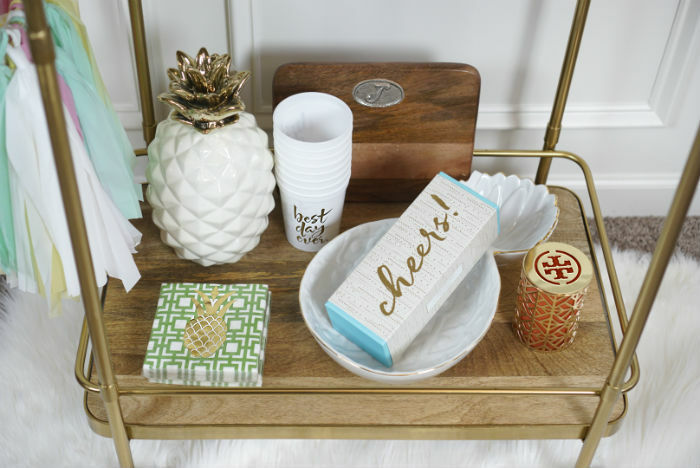 Your bar cart is so cute I love all the touches of pineapple. This makes me want one of my own. 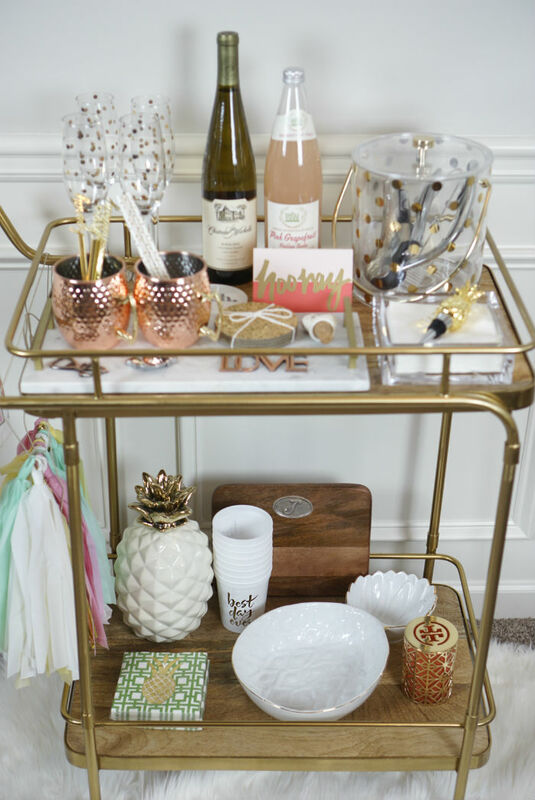 I'm obsessed with your cute bar cart! 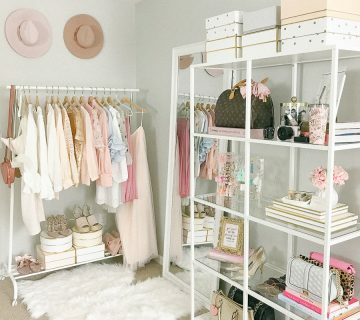 I have major inspo after seeing this! This is adorable! I just got my bar cart for Christmas and I have it but hav eno idea what to do with it now! I don't have parties and I definitely need to style it somehow! Thank you for the inspo! The bar cart is adorbale and you made me want to have one too! This is so cute!! I think I need to get a bar cart for my house! Omg! 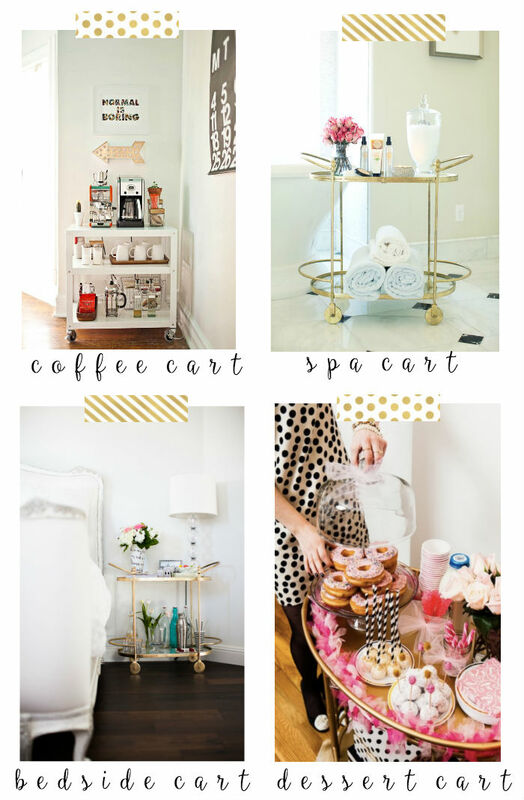 That cart is perfect…I've been shopping for one, but they are so pricey! Love your pick, you're inspiring me to keep looking! This is such a fun post!! I've been thinking of getting a bar cart and you just totally inspired me to get one! So many cute options and I love the idea of updating it with the seasons! I'm not much of a drinker either, but you're so right that when you get a house there's more of a "need" for one!! You couldn't have styled yours more perfectly! In our new space we didn't have room for our bar cart in our kitchen area, so it got repurposed as a nightstand in our guest room! Love your ideas! I have this exact bar cart and I’m trying to get a similar tray for the same spot – can you tell me the dimensions of your tray? I love the layout and spacing on yours! My marble tray is roughly 15.75 in x 7.25 in! I hope that helps!